Introducing the newest, cutting edge way to order rental furniture! 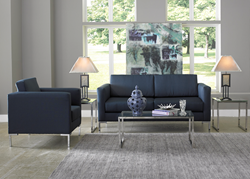 One of our newest lines for 2016, the Millennium group. Southern Furniture Leasing is excited to launch a new website for ordering rental furniture in Florida and Georgia. The new website for Southern Furniture Leasing provides quick and intuitive access to the company's full furniture rental line, as well as extensive resources for customers searching for more information on what is offered both on the furniture rental side and the housewares rental division. "By simplifying the ordering process for our customers, we have heard that they now have more time to spend on the other aspects of relocation and that it greatly eliminates the stress of choosing furniture by having access to our full line... there is something for everyone." says Patrick Collins, Key Account Specialist for Southern Furniture Leasing. Southern Furniture Leasing has designed an intuitive platform that allows the customer a quick and easy way to choose and order furniture. By allowing the customer to pick and choose exactly which pieces and style works best for them, through an online portal, the time from start to finish has been shortened tremendously. "We spent many, many hours going through our mechanisms and what seems like hundreds of different formats to find what we felt worked best for our customers" says Lee McAlister, Vice President of Customer Relations. "We listened to our customers and came up with what is now the fastest and most efficient way to get your rental furniture ordered and delivered." The new, streamlined channel is just 6 clicks, from start to finish...the fastest in the industry. Not only can the customer order furniture, but they can also order all of the housewares, linens, accessories and more to furnish a complete home. Southern Furniture Leasing can also deliver and install washers and dryers, ensuring a professional and attractive home set-up for it's customers. Southern Furniture Leasing reports that the new site is also mobile-friendly and allows their customers the ability to order furniture from any device. "We have made ordering furniture as simple as getting groceries delivered or getting an Uber ride." Lee comments. After 39 years in business, providing high-quality furniture rental throughout Florida and Georgia, Southern Furniture Rental knows what is takes to provide a successful relocation for you and your family. Acclaimed for customer service and reliability, Southern Furniture Leasing continues to lead the way in innovation and technology. For more information on setting up the perfect home during your next move, contact Southern Furniture Leasing today.